There's "opportunity" says Harvey Elliot, boss of EA's Bright Light studio, closely tied to the heritage of Peter Molyneux's classic Bullfrog games such as Populous and Theme Park. Five years ago this month (gosh, how time flies), we asked Peter Molyneux whether he'd like to make new versions of his classic and celebrated Bullfrog Productions games from yesteryear, such as Populous, Theme Park and Magic Carpet. Although at the time we had to cut the segment in question from the video interview, five years on there's no harm in revealing that his answer was "I'd love to, but EA owns all the rights". We'd have to dig way into our video archives to find the exact quote, but that was the gist of it, and I remember he added: "All I'd need to do is pick up the phone." Well, on Peter's behalf, we skipped the phone call and not too long ago ended up meeting in person with Harvey Elliot, boss of EA's Bright Light studio in the UK - the part of EA that's closely tied to all of that classic Bullfrog IP, ever since EA's 1995 acquisition of the studio. So, is it looking at all likely these days? 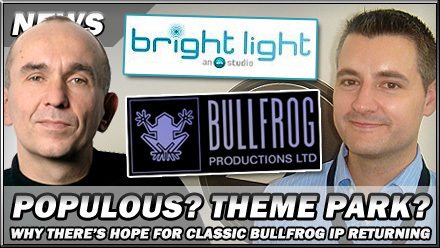 "For me, I love the old Bullfrog IP, it got me really passionately into games, and I'm really proud that Bullfrog is part of the heritage of Bright Light", says Elliot. "I'm personally a huge fan of Populous and Theme Park, they were some of my favourite games - many years ago, obviously - and I'd love to see both of those remade." 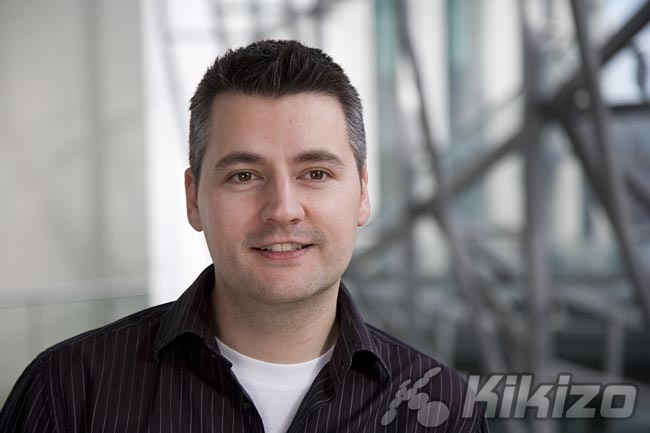 Harvey Elliot, boss of EA Bright Light Studio, whose roots can be traced back to Bullfrog Productions (Peter Molyneux's studio before Lionhead). "The thing is, the romance of the idea is often detached from the reality of executing it. 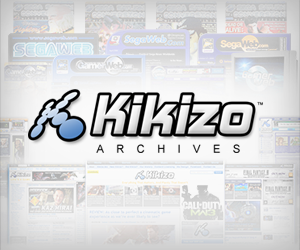 If you remember all the old classics you played, if you go back and play them now, they're not the same. They were right for their time, and the trick with those games is coming up with what's right for the time now. I'm going to look at them at some point, I think there's an opportunity to bring those back in the future, but only if it's right for the time and not just a 'remake' or something. We'd need to do it in a way that's true to the original values, but would still make a great game today." These days, Microsoft wants Peter Molyneux to focus on epic projects like the Fable series and Milo and Kate - so any such rebirth of the classic Bullfrog IP would be purely an EA development, rather than collaborated on with Lionhead. Right? Elliot: "That would be fine with me, I mean I think we actually still have some of the original [Bullfrog] team, so there would still be the spirit of that if we ever did get to it. After we've had a breather [following the release of Harry Potter and the Half-Blood Prince] we'll take a look at things that we've got either in our past - or other IP which was developed but never released - and figure out whether they're things we should bring to the market." His mention of "IP which was developed but never released" again caught our interest. Elliot was originally hired by EA from Acclaim to develop "a new IP, a new product line that we've never actually brought to market yet", as he put it to us. But shortly afterwards the opportunity to develop the popular Burnout series became his main focus, and he went on to produce Black and the Harry Potter series - right up to the latest edition, Half-Blood Prince. But what happened to the EA project he first worked on that never came to light? "We stopped making it, but if I tell you what it is, you'll get excited. It was based on an old IP that EA has, that I would love to see come back to market - and I think it might. But I don't know - it's not anything we're working on at the moment. I don't think there's anything gone out publicly about it at all yet. It's become one of those projects we've started a few times over, and it's like what I was saying about the classic Bullfrog IP; I loved the game when I was growing up, and I would love to have seen it come to console - which it hadn't been on before. "But as you get into the detail of it you realise that it needs to have a lot more depth and a lot more substance, which you can't just cunjure out of thin air, and you can't rely on people's nostalgia either, because successful games of 15 years ago sold 100,000 or 200,000 copies, and successful games these days sell millions. It's something that needs a lot more time and investment. But that said, between all the teams that worked on it, that knowledge gets passed on and on, and one day it's going to come out and it will be awesome." So is it technically shelved right now? "It's with a different studio at the moment, so we passed over everything we had, talked it through with them... I don't know if they're actively on it, I'd have to go and search for it. I know I'm being cryptic, but it does speak to the fact that EA has a rich IP base. We might not make it - it may not be right even now to do it - but maybe the next time around it would be." But is this secret project one of the classic Bullfrog IPs or not? "No, I'd say it was an EA IP", Ellios says with a grin. Let the guesswork begin.